Barilla® White Fiber pasta looks and tastes like our traditional semolina pasta yet offers the benefits of 3x the fiber than the same size serving of traditional pasta. White Fiber Shells provide 40% of daily fiber and 30% of daily whole grains per 100g portion. Bring the benefits of fiber to your table every day with Barilla White Fiber! With a shape that resembles a seashell, Barilla White Fiber Shells combine the fun of miniature size with the balance and beauty of form inspired by nature. Made with 3x more fiber than our regular semolina pasta, this wonderful pasta is ideal for enhancing your tasty dishes. 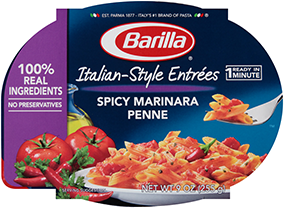 Cook Barilla White Fiber Shells in boiling water for 6-7 minutes, then drain and serve according to the recipe directions.